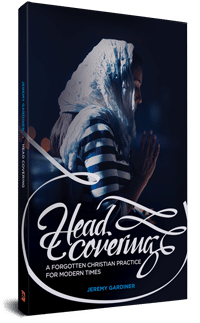 Today I’d like to introduce you to a great new e-book on 1 Corinthians 11. 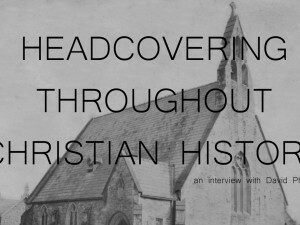 It’s called “Headcovering Throughout Christian History” by David Phillips. David has graciously placed his e-book on sale for only $0.99 now through September 12th. I really hope you will buy a copy as it’s a tremendous resource of historical quotes in a well-organized fashion. 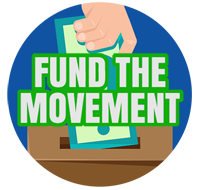 To continue to grow this movement, we all need to support one another’s efforts in spreading the word about this message. If we all get behind this book, it will show that there’s a demand for resources on this topic which can open new doors. 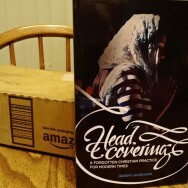 Come back tomorrow to learn about the history of head covering. We’ll be posting a video interview we recently conducted with David on this topic. 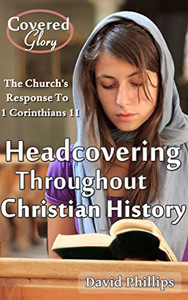 To purchase “Headcovering Throughout Christian History” please visit this page. You can read this book (or any other Kindle book) on your computer, smartphone or tablet by installing a free Kindle app. 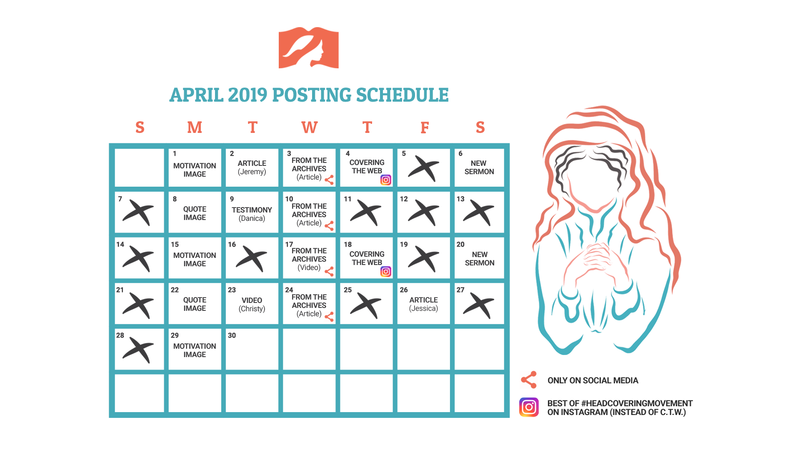 I cannot think of a thing less important than what a woman is wearing on their head during worship … How about just being thankful that they’re there? We are. But we believe that whatever God says about a topic is very important and should be heeded. Since God does give us instructions on this topic, we believe it would be wrong to ignore those directions. Obeying God is very important. We want our worship to be pleasing to God. Bruce, if I may inquire, why do you consider the teaching of the veiling to be unimportant, and more specifically, the most unimportant…? Well, you did say you couldn’t “think of a thing less important”… Perhaps I misunderstood you. Am still curious what relegates it to such a low level, though. And two things that might be worth thinking about. First, what and who’s perception determines what is a “petty, exclusionary requirement?” Seems awfully subjective. Secondly, regarding “only imposed on women”, if we are referring to the teachings of I Cor 11 here, since that IS the focus of this site, that’s manifestly untrue; it is equally “imposed” upon men to keep their hair short and not cover their heads as it is upon women to have long hair and conceal it with a veiling.